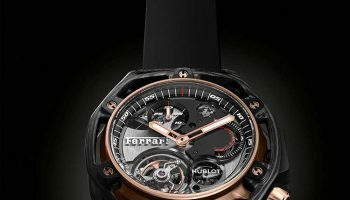 These past five years Hublot has been the watch partner of the car brand that possibly speaks more to the imagination than any other car in the world: Ferrari. 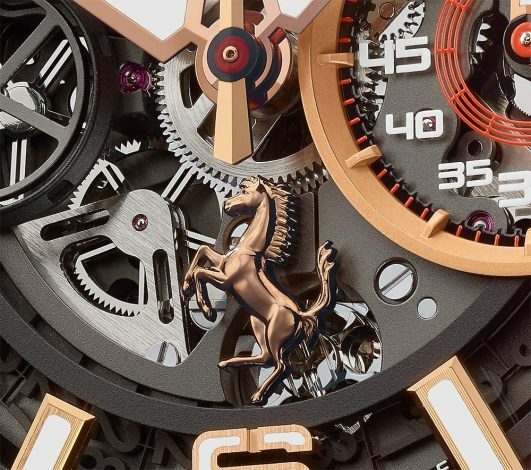 No watch has ever been such a perfect match for the grunting V8s and howling V12s of the scuderia from Maranello as the exuberant Big Bang. 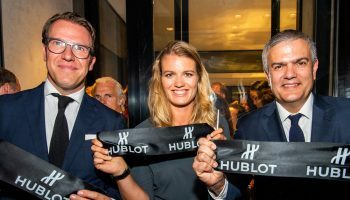 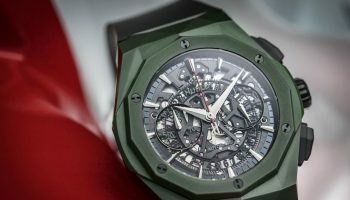 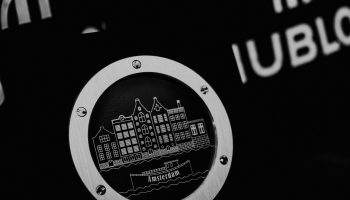 In the same way that Ferrari never rests on its laurels when it comes to continuously updating the collection, Hublot also has a reputation to maintain when it comes to constantly updating collections and models. 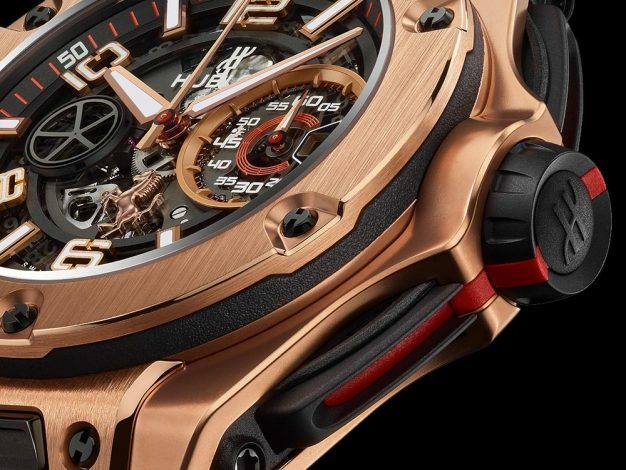 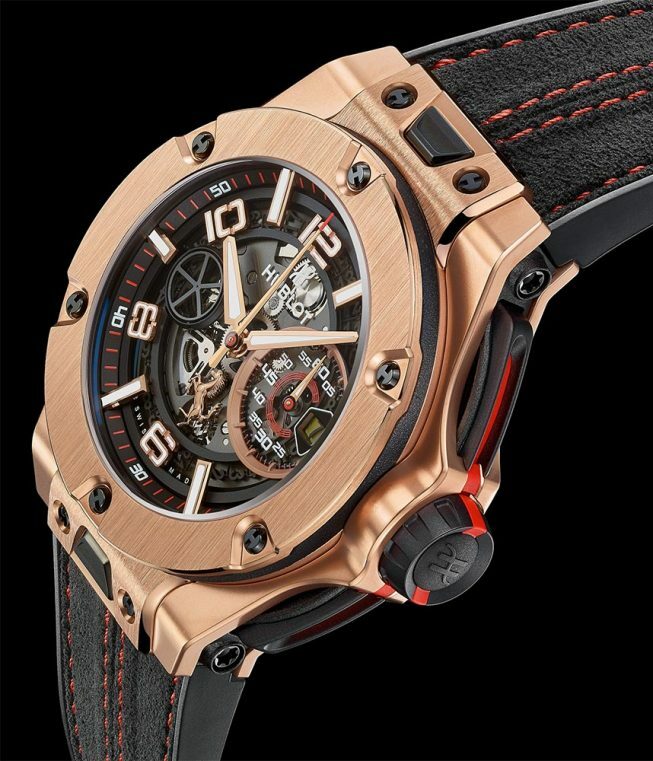 The new Big Bang Ferrari is not a facelift of the existing models, but a completely new watch. 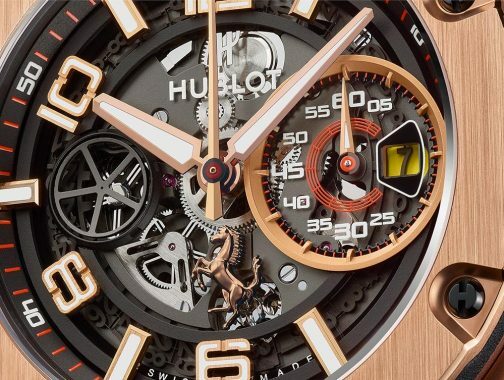 Aesthetically speaking Hublot has tried to meld together the design facets of the sports car with the prancing horse and those of the angular watch as much as possible. 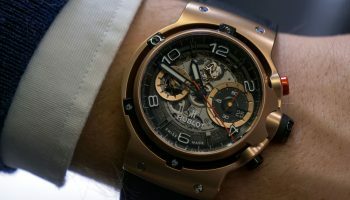 However, the stylised collection also has functional characteristics that are very much in evidence. 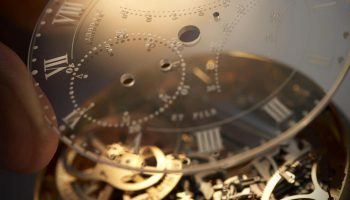 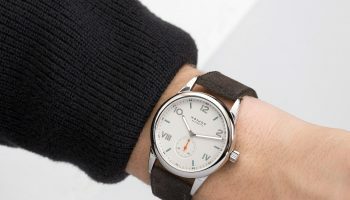 The date and minute displays at 3 o’clock, for example, have been given shape very functionally as well as attractively: car and watch lines become one. 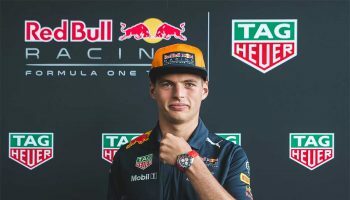 The watch has a strong three-dimensional construction which allows the mechanism to star on the inside and also shows strong similarities with the way in which the V8 turbo engine of the Ferrari 488 is the starring centre point of the sports car. 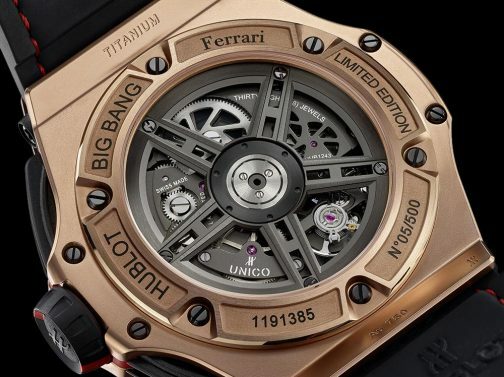 The new 45mm Big Bang Ferrari will be available in titanium (1,000 copies), King Gold (500 copies), carbon (500 copies) and a number of unlimited versions that combine titanium, King Gold and carbon in different ways. 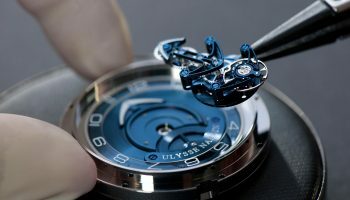 Inside these watches ticks an automatic chronograph manufacture movement with column wheel, a sapphire disc with date display and a power reserve of 72 hours.